SpaceX's launch moments ago was a classic—on time and all conditions were optimum—to send off Iridium Communications' fourth set of 10 Iridium NEXT satellites on a Falcon 9 rocket from Vandenberg AFB in California. Once deployed, there will be a total of 40 Iridium NEXT satellites in LEO (Low Earth Orbit). The Falcon 9 rocket first stage being used in this launch was previously flown during Iridium’s second launch, which successfully occurred in June. The operational Iridium constellation is comprised of 66 satellites divided into six polar orbiting planes with 11 satellites in each plane. Destined for Iridium orbital plane two, nine of the 10 Iridium NEXT satellites deployed during this launch will immediately go into service following rigorous testing and validation. The remaining satellite will undertake a nearly year-long journey to orbital plane one, where it will serve as a spare satellite. 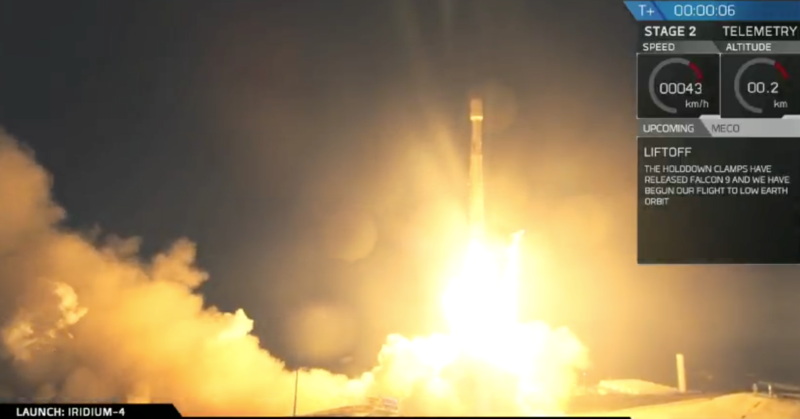 To date, three Iridium NEXT launches carrying 10 satellites each have been completed. This fourth launch will bump the total number of new Iridium NEXT satellites in orbit to 40. Iridium has contracted with SpaceX to deliver 75 Iridium NEXT satellites to orbit, 66 operational and nine on-orbit spares, through a series of eight launches. Iridium NEXT is the company’s $3 billion, next-generation, mobile, global satellite network scheduled for completion in 2018. These new satellites are replacing the company’s existing global constellation in one of the largest technology upgrades ever completed in space. The network represents the evolution of critical communications infrastructure that governments and organizations worldwide rely upon to drive business, enable connectivity, empower disaster relief efforts and more. 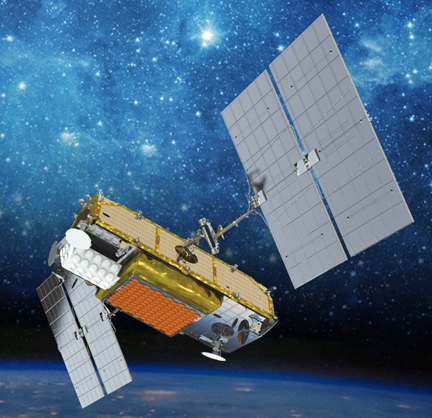 Iridium NEXT will enable and introduce new services like the Company’s next-generation broadband service, Iridium CertusSM.